The current plan is to have about a cupcake a week until I move, which isn't too daunting a task. But the wave of mediocre cupcakes recently has not made it easy to embark on this mission. Luckily, the mediocre streak has ended. Yay! 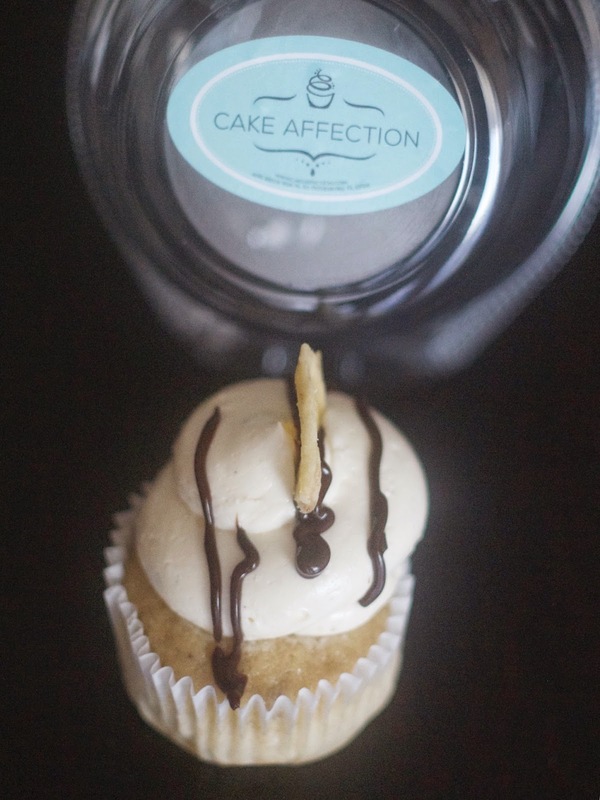 I ventured down to Seminole, just west of St. Petersburg and near the beaches of Tampa Bay, to check out their local cake bakery, Cake Affection. They had a large variety of cupcakes available with unique flavors and I, of course, settled on my favorite cupcake: a banana cupcake. Each cupcake is $3.10. 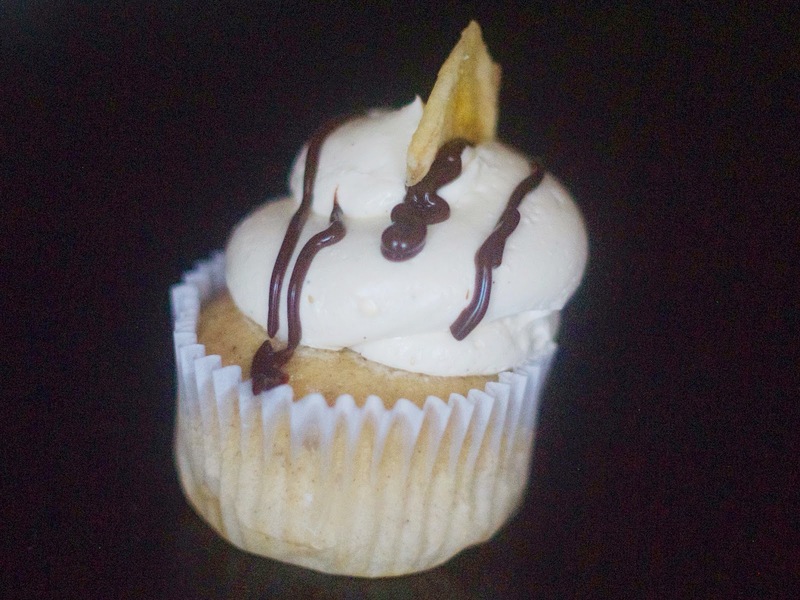 The cupcake was called Monkey Business: a banana cake filled with chocolate ganache and topped with a vanilla buttercream frosting. The flavors of the cake, ganache and frosting were tasty and not too sweet. It was almost an OMG YUM cupcake but it was actually too moist (sorry for not finding a more eloquent way to say that). Normally I encounter cupcakes on the drier side but this one went too far in the other direction. It wasn't underbaked but almost gummy and goopey once eaten. And there was a tad too much frosting on top the cake, which was easily remedied by scraping most of it off. It was so close to being a real winner. Close but no cigar. I would be interested to try another cake from Cake Affection to see if all their cakes suffer from gumminess. Wait! You're moving? I haven't seen you yet! Bummer.